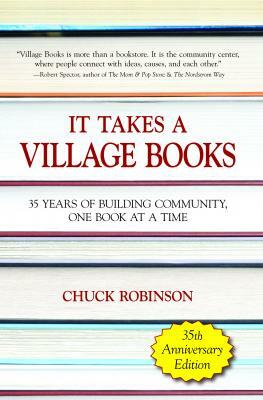 It Takes a Village Books is the story of an idea that became a bookstore and a bookstore that became a central part of the community. The book chronicles thirty-five years of the publishing and bookselling business-both here and abroad. It recounts some local and national censorship and privacy incidents, and offers a glimpse into the future of the book and bookstores. Along the way you'll meet four U.S. Presidents, a U.K. Prime Minister, dozens of authors, and quite a few interesting booksellers. It's also a personal story of two people who found their passion and turned it into a life.